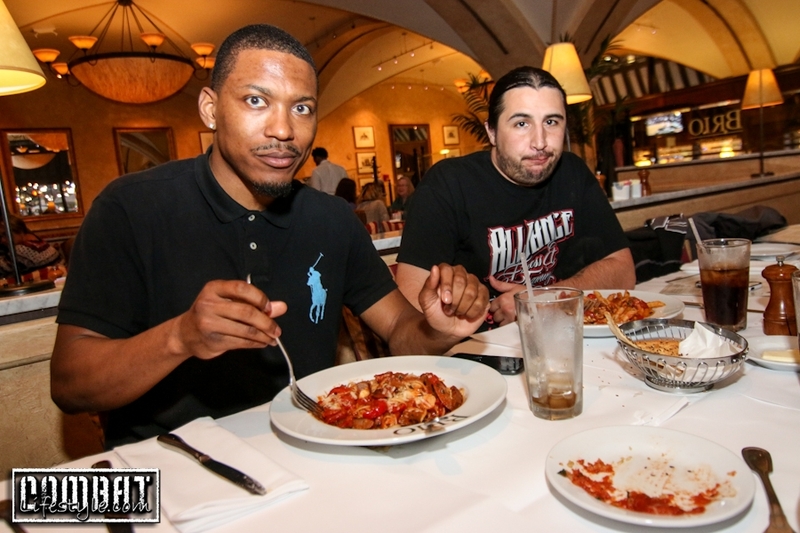 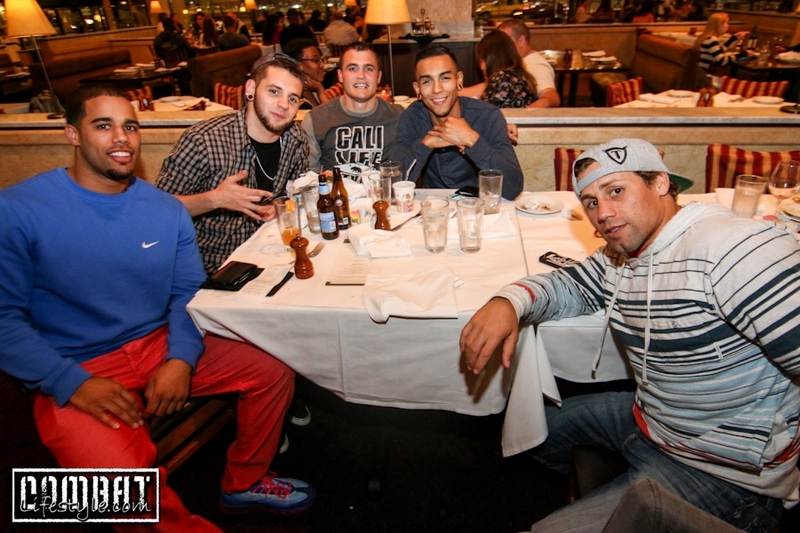 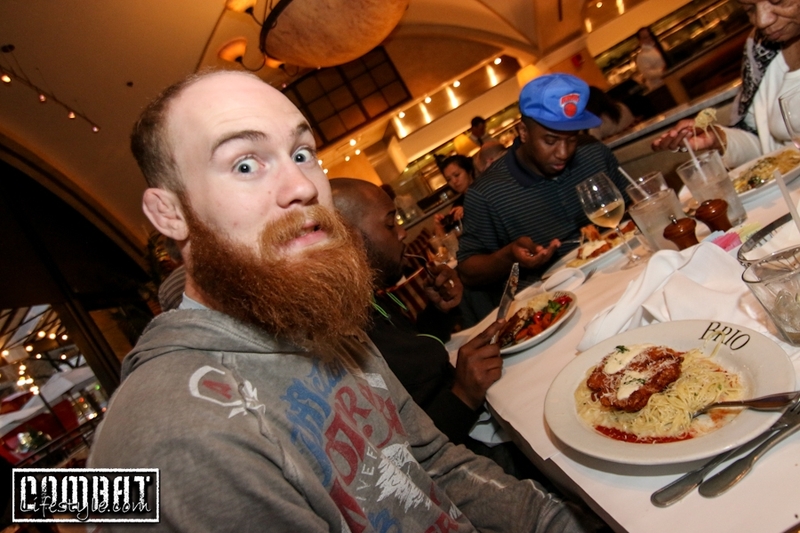 UFC 172 After Weigh In Dinner with Half the Card from UFC 172 at Brio last night. 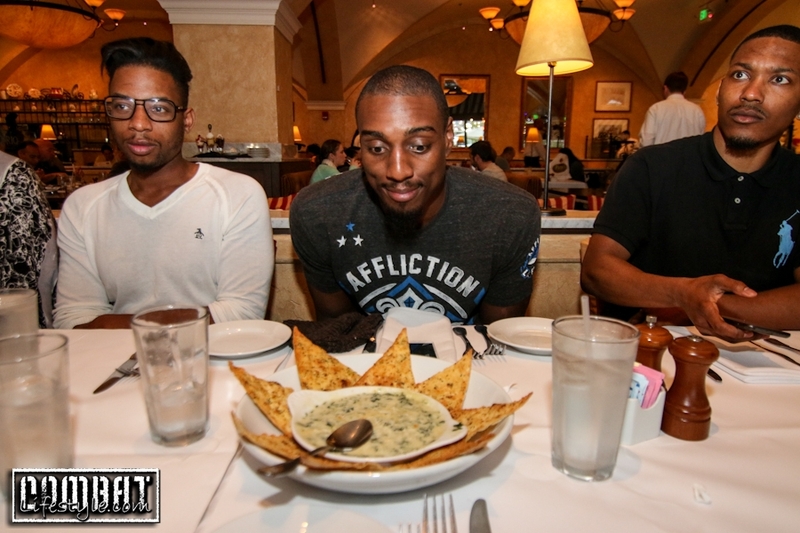 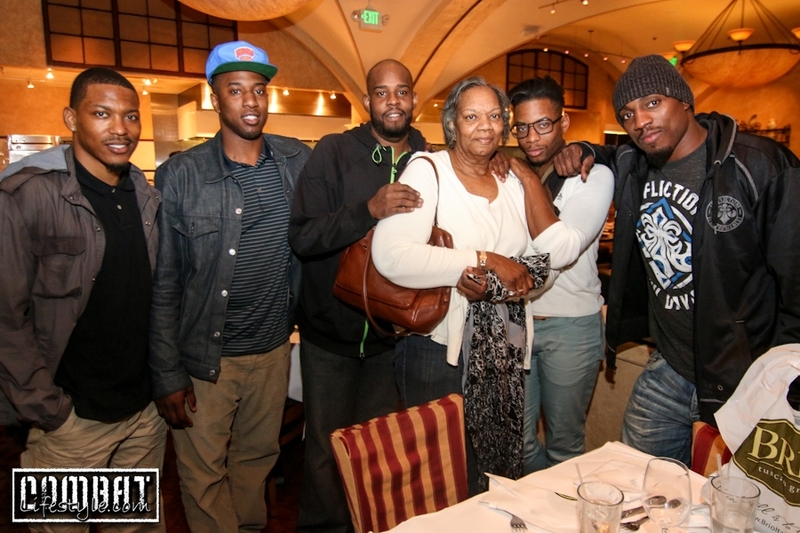 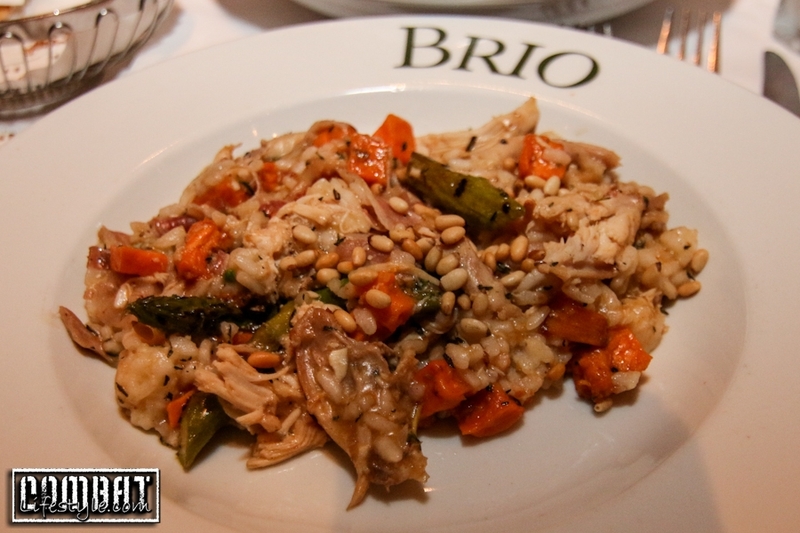 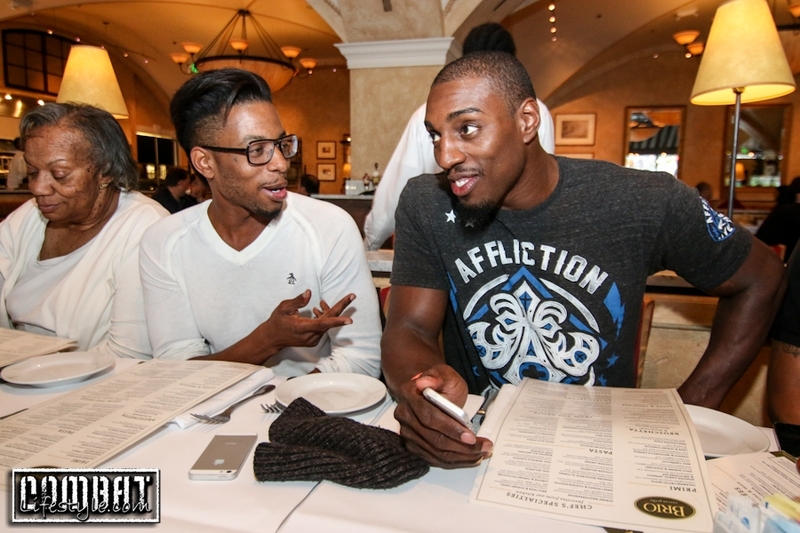 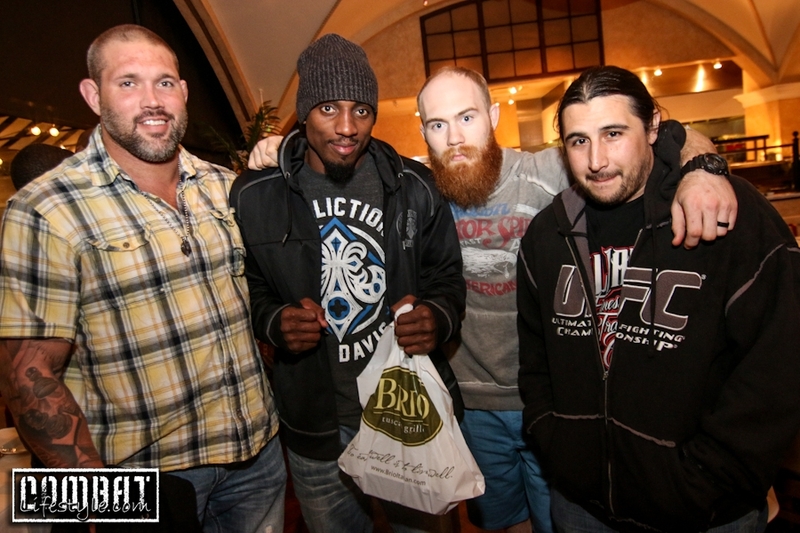 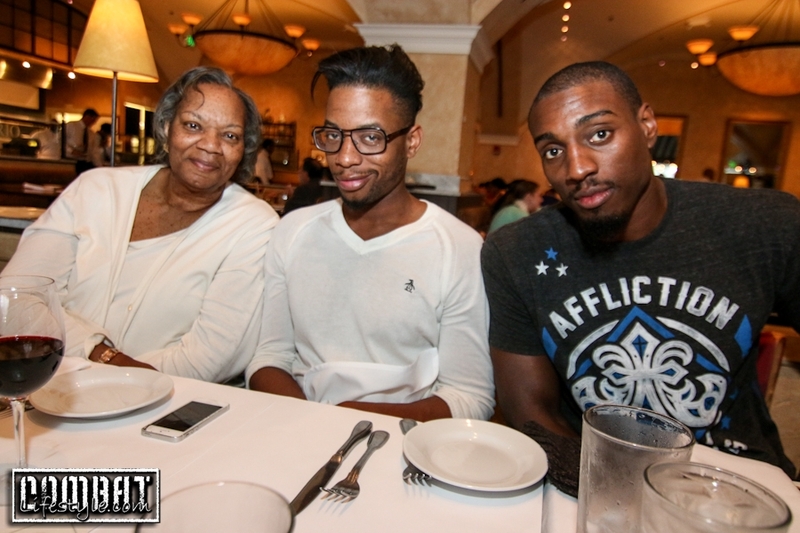 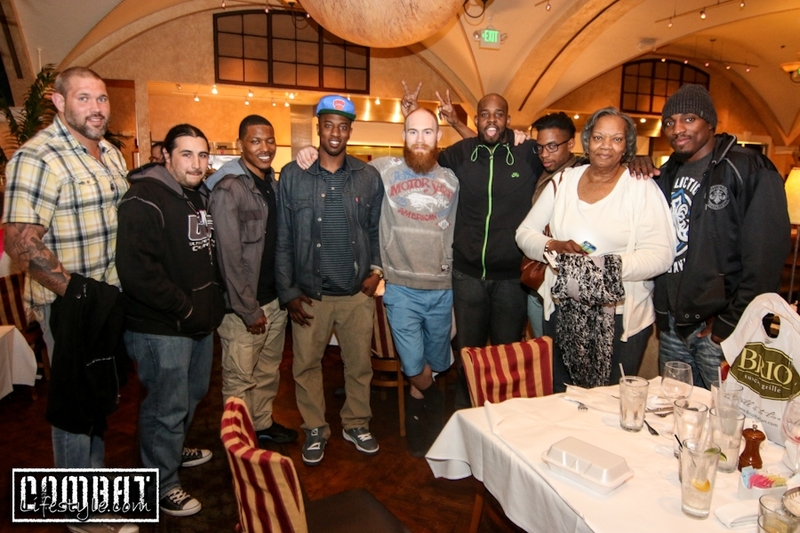 Ok, so we’re over exaggerating a little bit, but we headed to Brio to have dinner with the co-main event, Phil Davis. 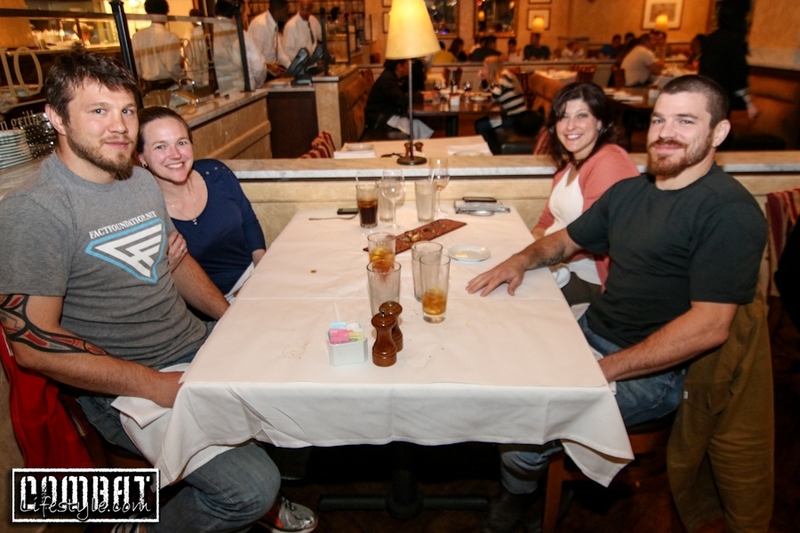 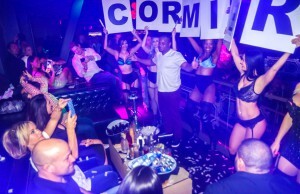 He arrived a bit after 7pm with his family, friends, and team mates and we were quickly seated. 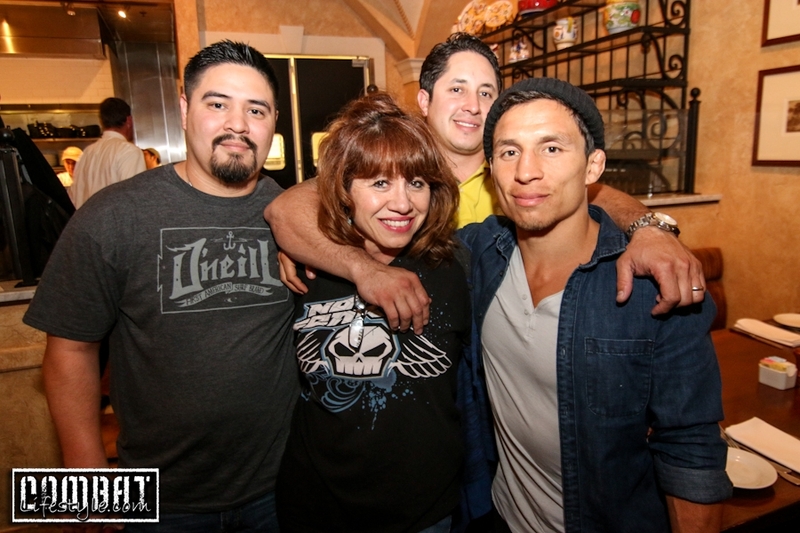 Urijah Faber & Sneaky Tommy came over and hung out for a little bit from their table across the restaurant where the guys from Team Alpha Male were all eating. 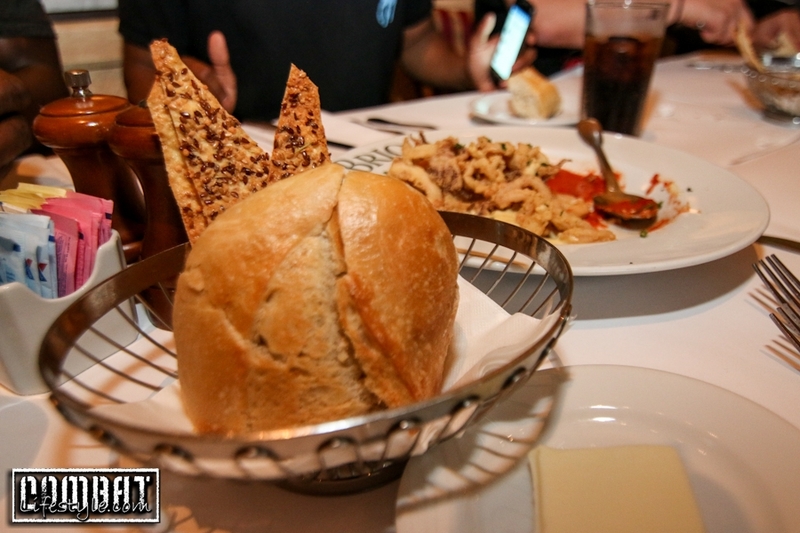 As we enjoyed our appetizers the table next to us started filing in and we started waving at the different people we recognized. 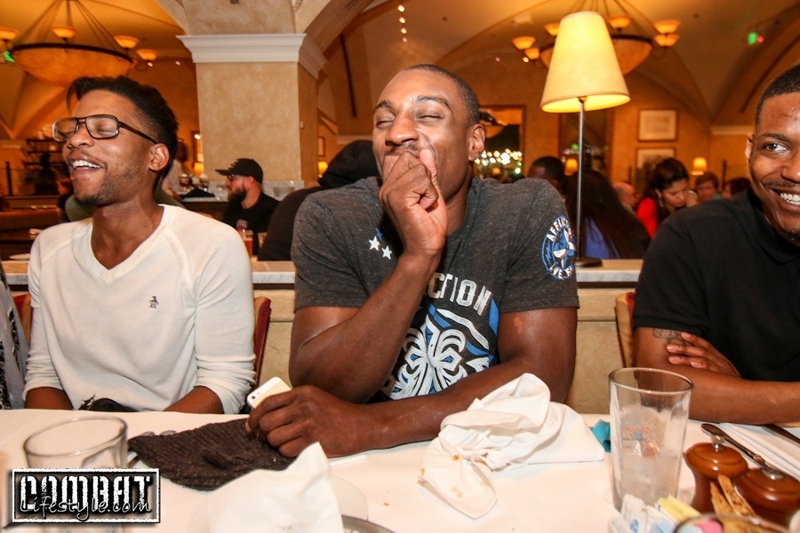 We then realized it was Anthony Johnson’s whole team. 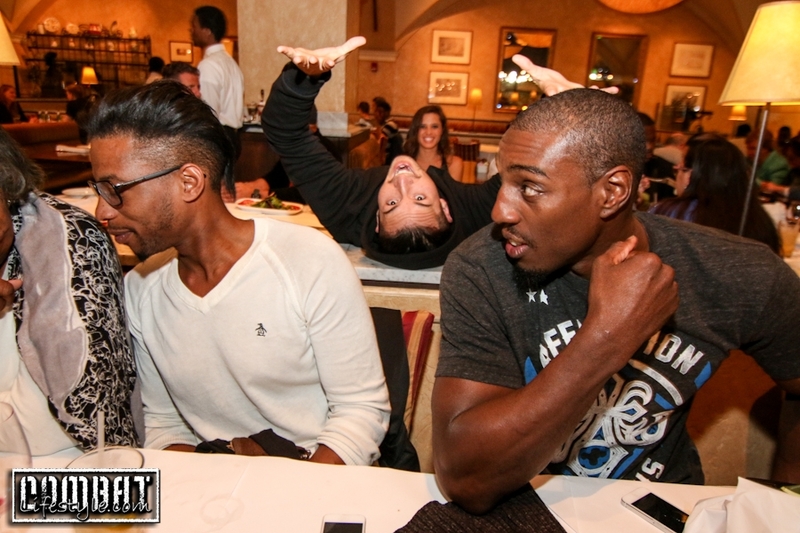 It was pretty funny and tweets and texts started flying back and forth between both the tables. 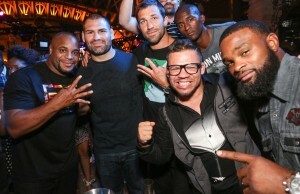 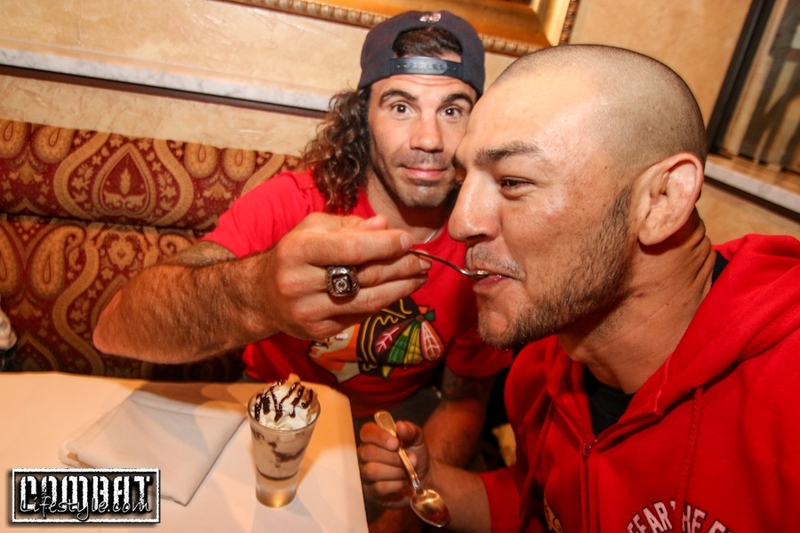 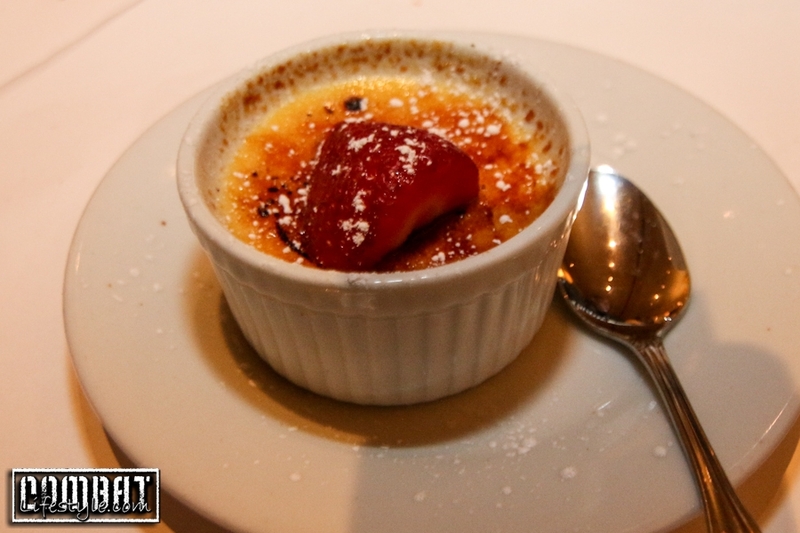 We took a lap around the restaurant and found Jim and Dan Miller a few tables over, as well as Ike Vallie Flagg’s group that included Aaron Riley, Cub Swanson and Clay Guida. 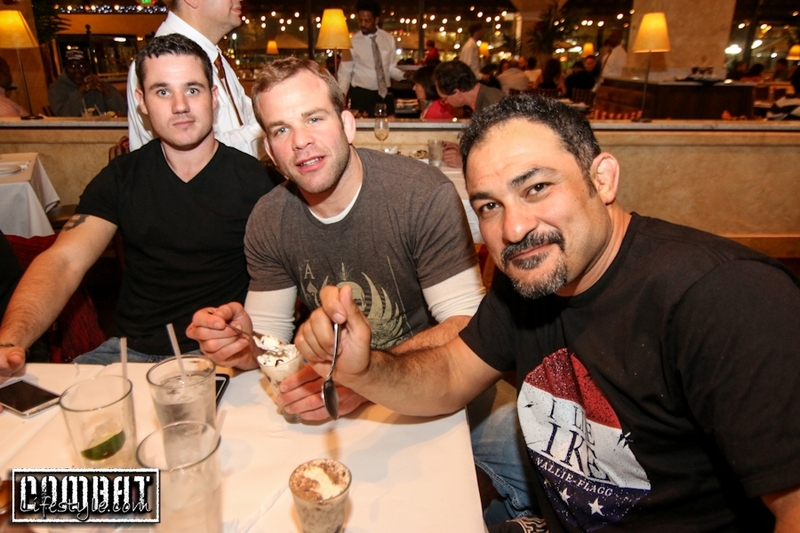 It was great to see ton of the camps on the card who all ended up at Brio last night to break fast with their family and friends before tonight’s fights.